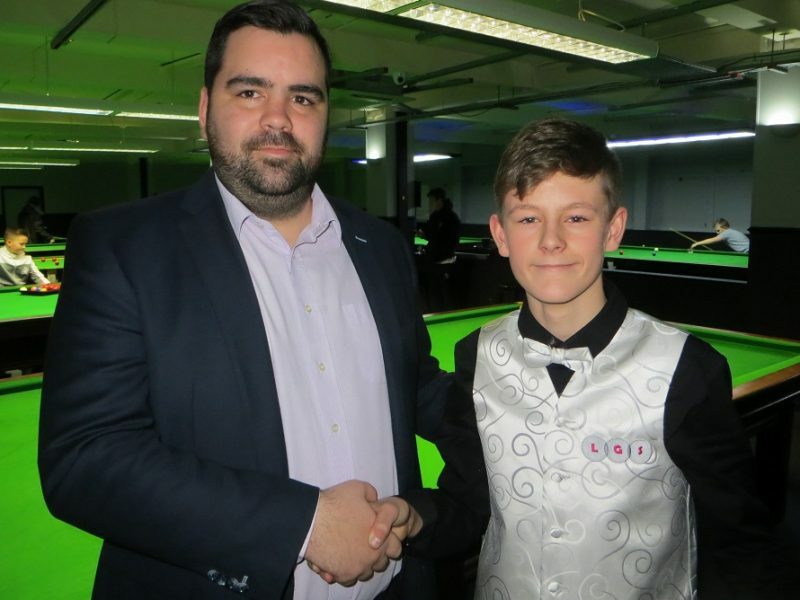 A CALL centre in Portsmouth has given a ringing endorsement to the progress a 14-year-old snooker player has made over the past year. Lead Generation Services will sponsor Waterlooville potter Zak Truscott to the tune of £1,000. The financial backing covers a year’s practice time at Waterlooville Sports Bar and 40 hours of tuition with World Snooker coach Tim Dunkley. Truscott, who has only been playing the game seriously since December, 2016, said: “It’s great to be sponsored. As well as competing in the twice-weekly junior leagues at Waterlooville Sports Bar, the teenager, whose highest break in competition is 28, is currently sixth on the Cuestars South of England Under-21 Bronze Tour. He also turns out for the Hampshire youth pool team. Lead Generation Services is a specialist outsourcing marketing company that has a staff of 14 at its offices in Victory Business Centre, Fratton. Managing director Craig Mason founded the company two years ago. Apart from a spell at KFC while at college, his entire career has been spent in sales and marketing. A keen snooker fan but not a great player himself, the 31-year-old is delighted to be helping to nurture the career of one of the new generation of talented youngsters at Waterlooville Sports Bar. “I think it’s brilliant,” he said. “You don’t see a lot of it anymore. It’s good to see young kids hungry to progress in something. Dunkley said: “Zak has come a long way in just over a year. For more information about Lead Generation Services, visit www.lgsltd.co.uk.